If the internet is a vast library full of information, then search engines are the catalogue and indexing system to find the answers you’re looking for. In a lot of ways, their job is a lot tougher than that of the traditional librarian – because anybody with a computer can publish to the web, search engines need to work hard to filter out irrelevant and inferior content to instil trust in users that they can find what they’re looking for. In the early days of search engines, a website’s content didn’t really matter that much. Stuffing keywords into your page and submitting your site to dodgy link directories was enough to get your site to rank for your target keywords. Today, search engines such as Google are a lot smarter at keeping these spam tactics out of their index, and are constantly updating their algorithms to improve their search results. One of the biggest game-changers in recent years is the increasing importance of quality, relevant website content. Business are becoming increasingly savvy about where to channel their marketing dollars when it comes to SEO, or “search engine optimisation”. We have seen too many clients frantically trying to get their website back into Google after it has been penalised for bad practices by less-than-reputable SEO companies who promise “guaranteed rankings”. It’s a hard lesson to learn, but businesses are realising that the quickest path to search engine success is quality content and relevant copy. At the end of the day, a successful SEO campaign is one that drives traffic to your website that translates to conversions and sales. An SEO agency that doesn’t keep up to date with search engine trends and understand the importance of quality content in achieving this is not only hurting your search ranking, they may also be putting your business at risk of being excluded from search results completely. It feels like everyone is on social media these days, and business are learning how to tap into this massive opportunity for grassroots marketing that can reap potentially huge rewards. Think back to the last time you shared a link on social media – was it because you found the content interesting, funny, useful? Quality content has a much higher chance of being shared and reaching a larger audience than irrelevant or spam-ridden copy. By providing your visitors with quality content on your website, you not only assert your authority and leadership in your industry, you are also maximising the chances that visitors will share your website on social media, or link back to your page on a blog. 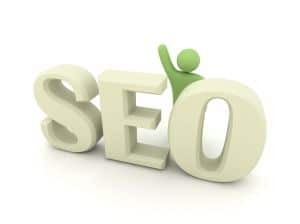 Old methods of “link building”, for example submitting your website URL to dedicated link directories for the purposes of search rankings, are not only deprecated, they can lead to your website being penalised by Google. 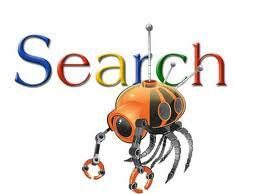 These days, search algorithms favour natural link building which is achieved through the sharing of quality content. If your website content is informative, well-written and optimised with key words and phrases seamlessly blended into your copy, you’re well on your way to improving your SEO through content. The other factor is quantity. SEO is an ongoing process, and your website is no different. New content will help you show up on the radar of search engines, and keeping a regular blog is one way of increasing your authority in your industry, produce regular, shareable content and keep visitors coming back, all with the aim of increasing traffic to your website and turning visitors into customers. How can your content be improved as part of your SEO strategy? Get in touch with us, an SEO company Sydney, and learn about how our SEO experts and professional copywriters can help optimise your website and maximise traffic.